All Mshikhanim have been on a journey in this life. They were on a journey to find their spiritual home. Maybe its teachings spoke deeply to them. Maybe they could relate, coming from a gentile background, and by committing themselves to Yahweh, and Mshikha and living the Didache, they felt they finally found this spiritual home. But the journey of the Mshikhanim has always been a multi-stage process, much like that of the very first gentiles to embrace Mshikha over two millennia ago. What was the end result for the gentile disciples of Mshikha back then? The hint is in the name of the Letter of Mar Ya’aqub to the gentiles. In the Sefer Shakynah the title of this Letter, the letter that contained the body of the text of the Didache itself, is: “Letter of Mar Ya’aqub to the Gerim”. Ger in Hebrew means a non-Jewish convert. What this means then, is that the gentile disciples would one day be brought along to enter the fold of their Torah Observant brothers and sisters among the Essene followers of Mshikha. The beginning stage of this was always learning and living the Didache. That remains true, even to this day. There are many people who are gentiles who approach Torah without being rooted in the Didache. They believe that if they put on all manner of Judaica, that they will be acceptable in the eyes of the Father, but if they are not living the teachings of Mshikha and his disciples, they are not living the Torah sealed in the blood of the Lamb (which is what this has all been about). 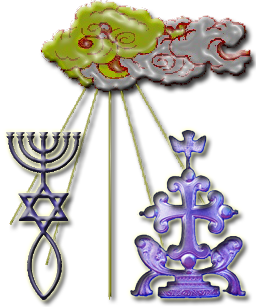 A person may learn the Didache and then begin incorporating the elements of Torah gradually and smoothly. Some believers may take many years to get to this point, and still others may live their entire lives just working on living the Didache to the best of their ability — all of which is blessed. But the overall goal for the gentile disciples has been, to one day be ready to approach the Torah in the proper way, with a circumcised heart and a receptive and obedient spirit. The Assembly of the Mshikhanim, inaugurated and blessed by the Tzaddik of the Assembly of Jerusalem, Mar Chaim bar Ya’aqub, was always intended to one day prepare the gentile disciples to join alongside their Torah observant brothers and sisters when they were ready. That is the course of the Mshikhanim today. That is the path laid out for each Mshikhani today. To be a Mshikhani is to embrace the the God of the Essenes: Yahweh. To be a Mshikhani is to embrace the Messiah of the Essenes: Yeshua Mshikha. To be a Mshikhani is to commit to living the Didache while preparing to approach the Torah as instructed by Mar Yaaqub ha’the Tzaddik. Using the Didache as your guide, begin to introduce elements of Torah into your lives, not as the Pharisees understood it but as the Essenes and as Mshikha and his disciples lived it. The Mshikhanim have distanced themselves from the Christian churches in the same way the Essenes distanced themselves from the Sadducees and the Pharisees. Keep this in mind as you continue your journey to the Kingdom of Heaven. Remain close to Yeshua: His words, his teachings, his meaning. Follow those he put in place to shepherd his sheep on his behalf and all will be well. The future of such a Mshikhani will be heavenly in the truest sense of the word.